Have you ever noticed how hard it is to get customers to buy your product or service through traditional marketing means? This is because there is a shift happening in business today where customers, clients and patients do not want to be sold to. If you are a business owner and all you are focusing on is selling, selling, selling and you are not providing value to your audience then you will not be able to make the difference that you are wanting to make. Marketing a business has changed. You do not want to be seen as a pest that is only concerned about how much money your business is bringing in. You need to be seen as a valuable expert that is solving problems and there to work with them to help them get what they are trying to get. There are three main things that will make your marketing efforts successful. The first is that you need to have a message that is compelling and moves your audience to action. You should consider what difference your company is making in the lives of those that you serve. By positioning yourself as an expert in your industry or field and giving away valuable insights and information that help your audience you will attract the right type of client to you versus you having to search them out. The second aspect of effective marketing is that you need to use the right media. The types of media that people use to consume information and make buying decisions has changed. People are no longer sitting in front of their televisions where ads are being run. They are busy and on the go consuming information on their phones, on their laptops. They are reading books either from their Kindle or other book reading app or in the printed form. The third aspect of effective marketing is that you need to have identified the ideal perfect customer, client or patient for you and understand how to communicate to them what benefit your product or service provides to them. If you are not clear on who you are serving and what difference you make in their lives your marketing efforts will not be effective. 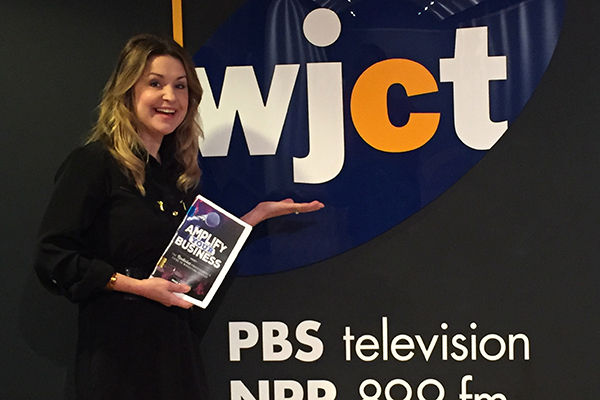 Jen at WJCT for her interview about her book Amplify Your Business. These three reasons are why book publishing is an effective way of growing your business. Your marketing needs to find people where they are, provide value and deliver on your brand promise. Books are very valuable to audiences. We live in an information age where people are rapidly consuming information. By positioning yourself as an expert in your field and writing a book that helps your customer, client or patient solve a problem that they’re having you are likely to cut through the noise of advertising and traditional marketing means and get your message delivered with impact. 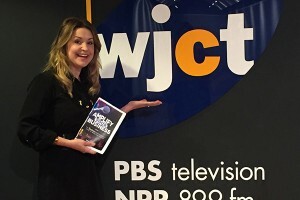 In 2013, my business partners and I started our company Boss Women Rock and one of the first goals that we set for ourselves was to publish a book. We knew that business owners needed the insights that we had about setting the stage for business success. We knew that we could make a difference in their lives if we could only take the information that we had in our hearts and our minds and deliver it to them in a way that they would want to consume it. Publishing our book Amplify Your Business has been a game changer for our agency and for us personally as well. We no longer are seen or perceived as a marketing agency that only provides creative services. We are known as the go-to-experts in our field and opportunities come to us versus us seeking them out. Also, clients are attracted to us and our approach because we are taking the time to document our proven process and share our valuable insight and knowledge in our book, podcasts, blog posts, and events. If you are struggling with growing your business, writing a book is the number one most important idea that you can easily implement. Publishing your book independently without having to go through a publishing house is actually quite simple and easy to do if you have the right resources and team on your side. Do not hesitate! Get started today sharing your message, providing value to your audience, and begin writing your book so that you can grow your business into new levels of success greater than what you may have ever imagined. 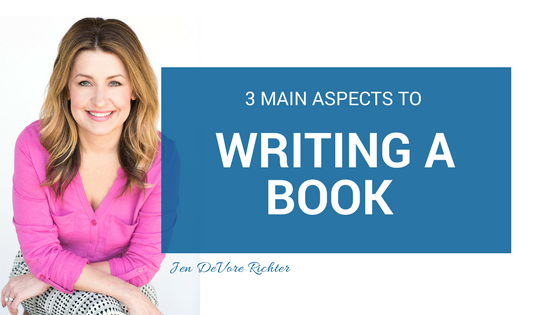 This approach to marketing through book authorship will require a mindset shift for you. You will need to let go of any limiting beliefs you have about being qualified, ready, or expert enough. If you have personal experience and expert knowledge, you are ready to write your book! An action that I would like for you to take this week is to think about who your ideal perfect client is so you can begin to better define your audience. Sometimes, it’s as easy as looking at ourselves. Our ideal clients are usually like us since we’ve been where they’ve been. Also I do have a free online training that I would like to give to you as a gift. 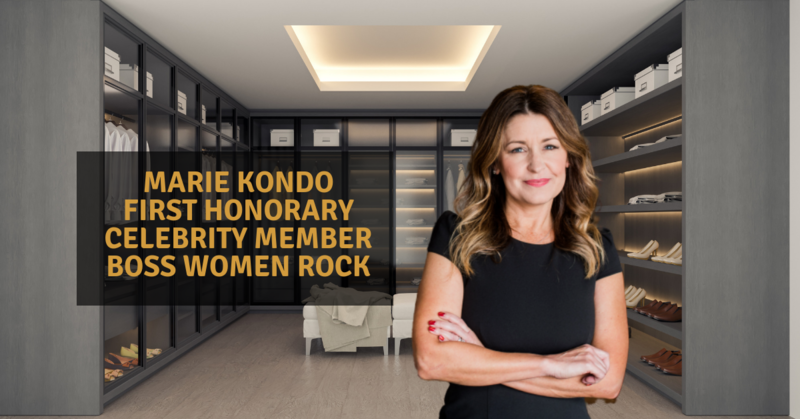 Please go to my website at http://www.JenDeVore.rocks/leadership-training to download your free success training today.